Headlining the Super Bowl halftime show is one of the most coveted and prestigious gigs a musician will have in his/her career and Maroon 5 can now add that to their list of accomplishments! 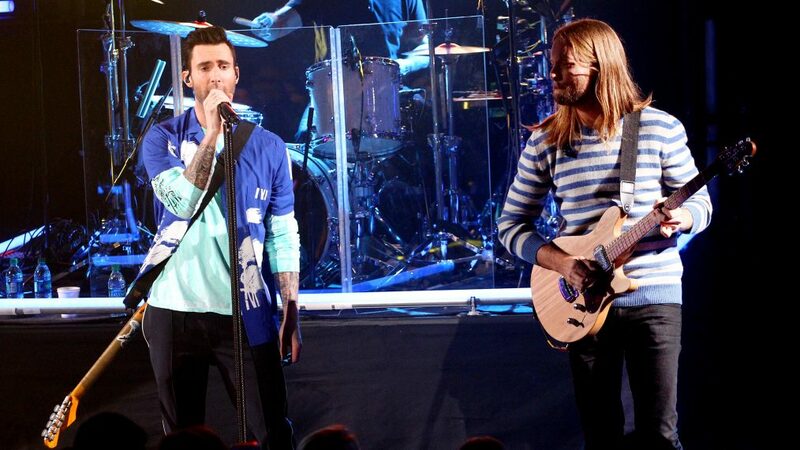 The pop rock band — comprised of lead vocalist Adam Levine, keyboardist and rhythm guitarist Jesse Carmichael, bassist Mickey Madden, lead guitarist James Valentine, drummer Matt Flynn, keyboardist PJ Morton and multi-instrumentalist Sam Farraris — will be taking center stage at Super Bowl LIII, Us Weekly reports and Variety confirms. You know Queen Bey made the list, but see who else did. The game later this year is being held in Mercedes-Benz Stadium in Atlanta on Sunday, February 3, 2019. The guys are still on tour for their 2017 album "Red Pill Blues" and have dates scheduled in countries as far away as Australia but the halftime show has always been a dream for lead singer Levine so we're sure saying yes was a no-brainer. In an interview with Howard Stern from 2015 he said, "We very actively want to play the Super Bowl." Last year, Justin Timberlake rocked the stage and promoted his new album, "Man of the Woods," and subsequent world tour. Other past artists include Bruno Mars, Beyonce, Lady Gaga, Bruce Springsteen, Paul McCartney, The Who, and Katy Perry. Selfie kid was a hit. The Prince tribute? Not so much. Maroon 5 is a well-decorated band as well. They have three Grammy Awards, 16 Billboard Music Awards, three American Music Awards, three People's Choice Awards, and one MTV Video Music Awards, just to name a few. No word yet on if they'll have a special guest join them on stage. Most recently they've collaborated with Cardi B and SZA.